Токио, 2080 год. На улицах мегаполиса в ожесточенных боях сошлись люди и роботы. Международный отряд миротворцев, присланный для стабилизации ситуации, сражается на территории заброшенных районов.Но в войне со столь необычным и, казалось бы, чуждым человеческой природе противником солдаты начинают задаваться вопросом: правильно ли то, что они делают? Неужели машины стали настолько человечны? Или это люди постепенно превращаются в роботов? 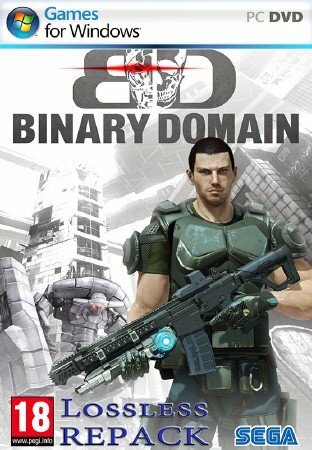 Специально для Binary Domain создается инновационная система искусственного интеллекта. Противники смогут оценивать ситуацию на поле боя и чутко реагировать на ее изменения. Поэтому игрокам придется тщательно планировать свои действия и не забывать об осторожности. Лишь в этом случае они смогут добиться успеха! Дата выхода игры: 27 апреля 2012 г. • FOV options have been added in the Configuration Tool for Aiming and Normal views. • Fixed Configuration Tool crash when modifying options for DirectInput control pads. • Restored missing Controller Sensitivity options to Configuration Tool. • Added basic keyboard and mouse navigation to the menus. • Updated mouse sensitivity; mouse aiming should generally feel more comfortable now. • Added Volume option in the Configuration Tool. • Changed the Screen Size setting to be 100% by default. • Changed the default button prompts to the keyboard icons. • Fixed a crash on game exit. • On Intel Sandy Bridge and Ivy Bridge processors, users may experience a graphical issue during the cutscene in Chapter 1 when you let go of the ship and swim over to the gangway, just before using the grappling hook. Intel is aware of the issue, and the fix will be rolled out in a future driver update. 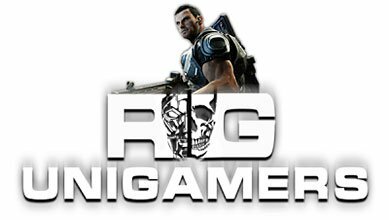 Please continue to keep your graphics drivers up to date, and the issue will soon be fixed. • Users playing the game on some NVIDIA graphics cards, using more recent driver versions, may experience corruption of the water reflections (appearing as a mosaic-like effect over the water). NVIDIA is aware of the issue and will work on fixing it in a driver update. • Users on Optimus laptops will likely be unable to select the correct graphics card in the Configuration Tool. NVIDIA is aware of the issue, and will work on fixing this for a future driver update.